As Mr Donald Trump moves into the White House, Washington's shadow on Asian shores is set to shrink. Foreign policy goals officially stated by the US Department of State - "to build and sustain a more democratic, secure and prosperous world for the benefit of the American people and the international community" - will be recast in the measure of America's first billionaire president who prides himself on being a pragmatic dealmaker. Under Mr Trump, America is going to become, well, "more Chinese". 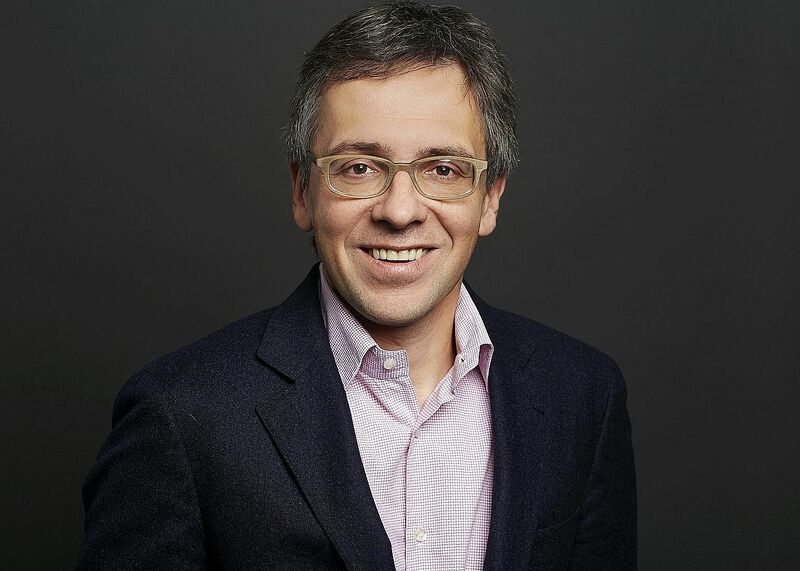 By that, Mr Ian Bremmer, a geopolitical analyst, consultant and author, means that Mr Trump's presidency will be "less about the values, more transactional; more bilateral, less multilateral; less universalist". The first pulse of the new policy may well travel to Asia in the form of a changing tune on trade. Washington's reduced appetite for striking sweeping trade deals, such as the Trans-Pacific Partnership (TPP), has been evident over the past few years. In the next stage, the US will cut deals with an eye to whether it benefits, and by how much. "Trump's view of trade is very transactional. It's much more: Are we seeing a win-win?" says Mr Bremmer, founder and president of the Eurasia Group, a political risk research and consultancy firm, in an interview with The Straits Times from his office in New York. "As we know, when the Chinese talk about win-win, it frequently means they win twice. That's what Trump wants. He views international trade agreements as he would a business negotiation, it's about how am I doing with you right now. If we both go for dinner and you order more on the menu, we are not splitting that cheque evenly. That's what Trump is going to mean on trade." Trump's view of trade is very transactional. It's much more: Are we seeing a win-win?... As we know, when the Chinese talk about win-win, it frequently means they win twice. That's what Trump wants. He views international trade agreements as he would a business negotiation, it's about how am I doing with you right now. If we both go for dinner and you order more on the menu, we are not splitting that cheque evenly. That's what Trump is going to mean on trade. America's trade partners, long used to regarding the country, the builder of the World Trade Organisation, as the enabler of trade, would be right to be worried. Not so much because Mr Trump has turned his back on free trade and called for hefty tariffs against countries he thinks are engaging in unfair trade practices, but because he is simply unwilling to commit to making trade deals work. "You would lose an enormous amount of American wealth and the cost of goods will dramatically rise, hurting the working and middle class, if you were to really decide you want to start a tariff war with the Chinese, the Japanese and Mexico, three important American trade partners," says Mr Bremmer, ruling out that course of action by Mr Trump as unlikely. "I think his bark is going to be much worse than his bite on that. "It's not that he is going to put tariffs but to be the world's architect on trade requires a commitment to making these deals work and you are not going to see that from Trump or his people. I've had conversations with his advisers, there's just no way." But before you tag the new president as an isolationist, think twice, says Mr Bremmer, the author of Superpower: Three Choices For America's Role In The World. "I don't think that Trump is an isolationist at all, he is a unilateralist. He is going to intervene, but on a narrower set of interests, as defined in the near term and direct American national interest. Things like global trade are going to take a backseat." In many corners of the world, an America that minds its own business instead of pushing democracy or moralising about human rights would be seen as a turn for the better and as a time for the more ambitious nations to expand their own spheres of influence. "The Chinese certainly stand to win," says Mr Bremmer, predicting a successful stint for Chinese policy. "They don't like Trump so much because they think he is an uncertain entity, they don't want instability. But in terms of China's ability to pursue One Belt, One Road, get a whole bunch of countries to... align themselves more towards China because they are the ones you can count on, they are the ones writing the big cheques, that policy will be very successful. "Although I don't know whether you would consider that a plus or minus for Asia." The hedging away from the US, a consequence of Mr Trump's opposition to the TPP as well as his threat to make allies pay more for the security they enjoy as a result of the defence treaties with the US, will gain pace, he says. "If you are a country like the Philippines or Vietnam, and you are looking at the US, and TPP is clearly not happening, and how much is the US going to provide defence support when they are telling even their closest allies, the Japanese and the Europeans, that they need to be spending more. "These countries are going to be hedging away from the US and towards China. Countries that have an opportunity to hedge towards someone else are likely to do so in a much more spirited fashion in a Trump administration." Mr Bremmer, who is also a foreign affairs columnist with Time, reckons that in repudiating globalisation, Mr Trump will soon enough get a reality check. "The reality is globalisation has not been taking American jobs for at least a decade. It used to. But in 2016, it's technology that's taking jobs. And Donald Trump is going to fight a war against technology. Walls don't keep out technology. That is going to fail. The question is how quickly does he get reality on that." But perhaps the most acute edge of the change might be felt at home. Mr Trump is an incredibly divisive politician, says Mr Bremmer, referring to his harsh words about Mexicans, Hispanics and Muslims, among others. The "forgotten white, under-educated men" who brought Mr Trump to power, he says, will be a focus of identity politics and that will create conflict.